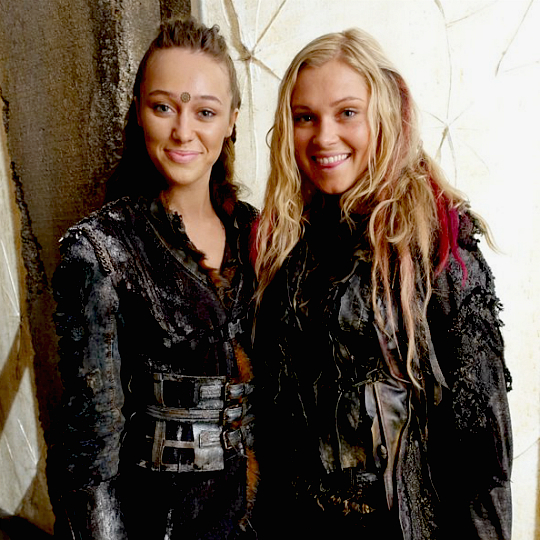 Alycia and Eliza. . Wallpaper and background images in the द 100 (टीवी धारावाहिक) club tagged: the 100 seson 3 3x03 photo bts eliza taylor alycia debnam-carey. This द 100 (टीवी धारावाहिक) photo might contain बॉक्स कोट.